My doctor prescribed the above supplement, the only thing he told me - do not take close to your thyroid medication. I was taking one capsule (125mg) at bedtime. 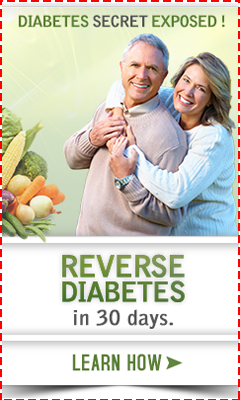 I am to increase every three days, 1 capsule, until I reach bowel tolerance?? I purchased these capsules at a health food store, and the person who has knowledge of vitamins, said some people can take up to (8) a day. My problem is, I do not know when/at what time of day I should take the Magnesium-Chelate as to not interfere with my other meds/vitamins. Lunch: 1ocated Aspirin (81Mg-must take as I had a mild stroke). Glusosamine Sulfate (500 MG). 1 Amitrptyline (10mg) for Fibromalgia and 2 (1mg) Lorazepam (for sleep-have severe insommia). My questions: What time of day should I increase the Magnesium as not to interfere with any other pills. Well, the ONLY time that you shouldn't take magnesium is when you are taking your thyroid medication- all other times are fine. And in fact, if you take a look at my Magnesium Dosage page, ideally, you would take the magnesium many times throughout the day in order to absorb more and have a lesser change of getting to 'Bowel Tolerance'. And the idea is that someone with Fibromyalgia should try to get as much magnesium in them as possible, so you want to take as much as possible throughout the day as many times as you possibly can with doses separated by about 2 hours. Another way that some of my clients will do it is to fill a water bottle with a known amount of magnesium powder mixed with water and then sip on that throughout the day. It's a bit easier than pills and easy when you have to drink water anyway. Since you have insomnia, though, you may want to try to include the majority of your magnesium towards nighttime to help you sleep- and/or use about a pound of Magnesium Bath Flakes in a bath before you go to bed. You can take BOTH oral and Transdermal Magnesium Therapy at the same time. But Jeanette, it seems like all of your other vitamins are SUPER conservative doses. Take a look at my Vitamin D Requirements page and you'll see that the dose that you are taking is AT LEAST one half of a normal adult dosage. And if you have never had your Vitamin D Level checked, you should INSIST upon getting one. 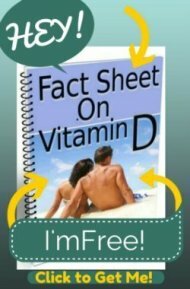 I have had Fibromyalgia clients who STRONGLY opposed getting a vitamin d level because they had been taking 'a lot' of vitamin d and getting 'plenty' of sun only to find out that they were SEVERELY vitamin d deficient!! 2000 IU's is likely to be WAY too small of a dose. Same with your Vitamin B12- 250 micrograms is a TOKEN amount. Read my page on Vitamin B12 Deficiency Treatment to see why doses of 10 to 20 times higher than what you are taking now makes MUCH more sense. And your selenium dosage is also way too low. Read my Selenium Dosage page to see what a better dosage would be. Hi can you tell my how much magnesium chelate to take to help with sleep and how long does it take before it takes affect. Kerri's Note: See the link on Magnesium Dosage JUST below where you posted. You'll know if you are taking enough for sleep if you start sleeping. I tried magnesium oxide, prescribed by doctor, but my bowels were not tolerating it. Magnesium-*chelate* does NOT have the same bowel side effects as magnesium oxide. So you can take more of it. I take it for migraines, and I do take a dose before sleep and have more successful nights of sleep than before I started taking it.